In any London flat good use of space is key. Reclaim any space you can! Obvious ways to reclaim space are to convert a loft or extend at the back of the property. Extra space can also be gained by removing old water heating systems and replacing them with combi boilers, by turning space used in halls into space in living areas. 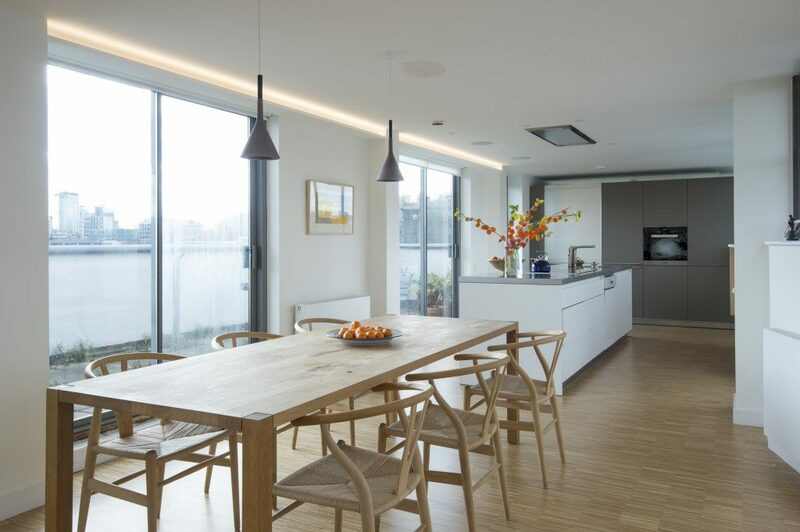 Space can also be more efficiently used by creating an open plan living area. Keeping the design consistent throughout a flat makes the space feel larger. This can be achieved by using the same or similar paint colours throughout the flat. The same flooring can also be used to create continuity from say, for example, a hall to a living room. Items such as blinds, worktops and fixtures and fittings should also be consistent. If brushed chrome sockets are used, brushed chrome would be a good choice for switches and door and window ironmongery. Features can be highlighted using different paint colours, for example on cornicing and fire places. Often boarded up chimney breasts conceal original fire places, sometimes in excellent condition. If enough old cornicing is still in place it can be restored by taking casts of the old cornice or if damaged beyond repair new cornicing in practically every style is available. If you fancy a rustic looking floor original floorboards can often be found under the existing flooring. Original floorboards are however often time consuming to restore and sometimes completely beyond repair. 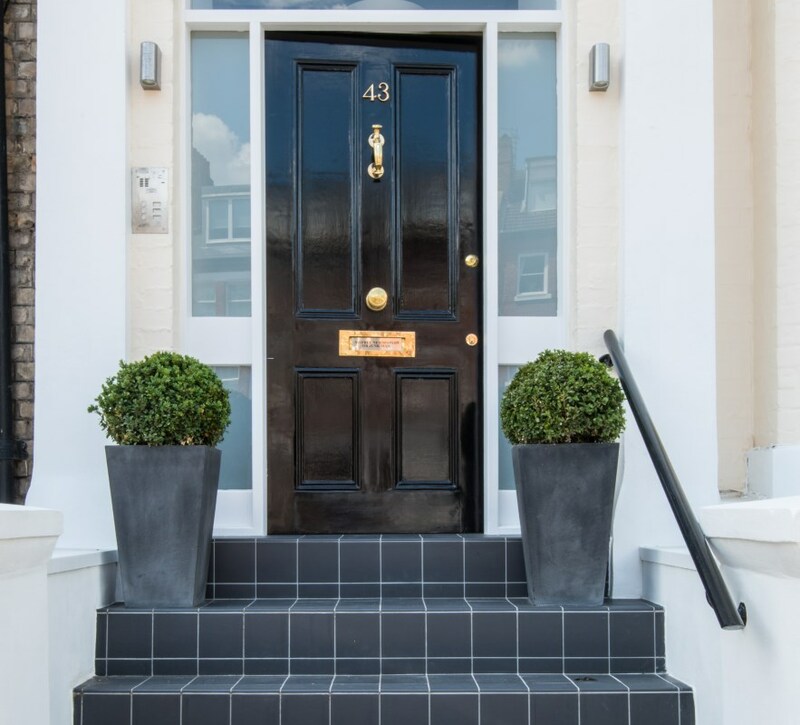 Old doors can be stripped of paint and restored and they can look fantastic in the right setting. 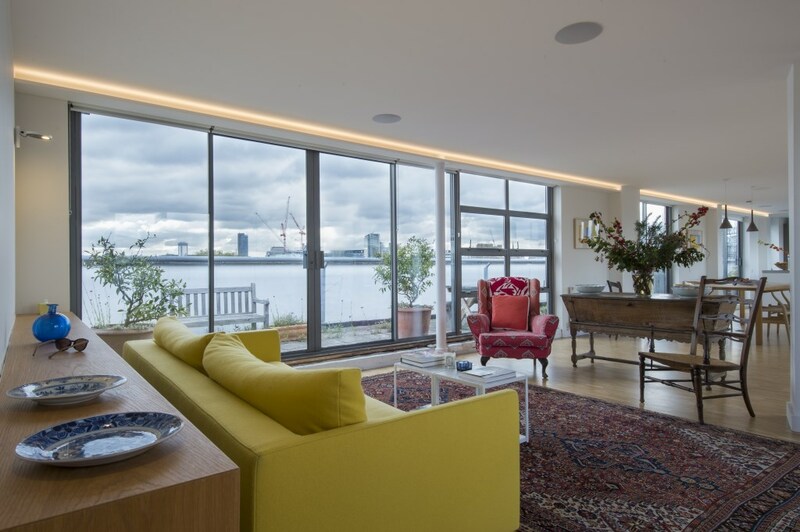 Many clients want their flat to be a canvas for their furniture, carpets, lights and pictures, others want the flat itself to be the main feature. These different stances require a very different approach to the design and colour choices made in the refurbishment process. 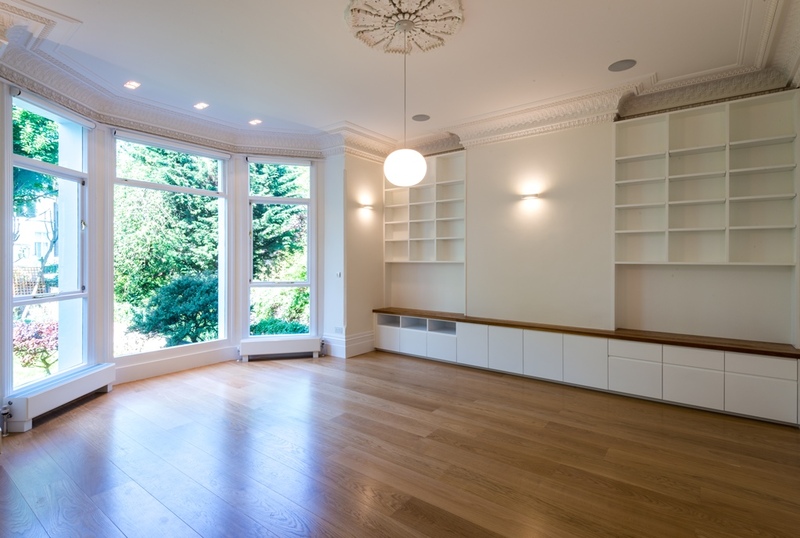 A canvas type flat requires more neutral colours in terms of the paints, kitchen and joinery. A flat where the flat is the feature can have a more pronounced kitchen and worktop, with features throughout such as more extensive joinery work, original features in the flat, glass features and a stronger emphasis on flooring and walls, it may include wall papers or parquet flooring for example. Kitchen are now the main feature of many flats and they need to look good. We tend to use Howdens kitchens for many of our projects, as these look fantastic but are usually sensibly priced, but we also use John Lewis, Magnet, Ikea and we also work alongside dedicated kitchen installers. Choice of kitchen is a very personal thing, but whatever the choice of kitchen type it must always be very carefully thought out so that it fits well with it’s owners lifestyle. For example a kitchen island, breakfast bar or stand alone kitchen table can all carry out similar functions but all offer very different looks. Bathrooms are generally considered to be the second most important feature in a home, after kitchens. Creating an amazing bathroom does not have to be hugely expensive. We are usually able to find sensibly priced alternatives to the most expensive designer fixtures, fittings and sanitary ware. Similarly sourcing amazing tiles does not need to be expensive, you just need to know where to look! This is a vital part of any refurb, it can make or break a project. An amazing floor finish can really add sparkle to a project and similarly, cheap laminated flooring can ruin a well thought out and executed refurbishment. 8. Tiles size, what difference does it make? Simply put a large tile makes a room appear larger, small tiles make a room look smaller. We often recommend a larger tile, but in some cases smaller tiles may be what is needed. For example small areas of mosaics in a shower or bathroom can add a great feature to an otherwise uninteresting bathroom. Paint looks much lighter in small areas, when you choose your paints make sure that you don’t go too dark, the colour of the paint will stand out much more when it is painted onto a large wall than it does on a small colour swatch! Experiment with paint colours before committing, this avoids multiple repaints! 10. Am I selling, renting or living in it? Not everyone has the same taste as you, so it’s always safer to use more neutral colours and designs in a flat to be rented. If it’s your own place go wild! 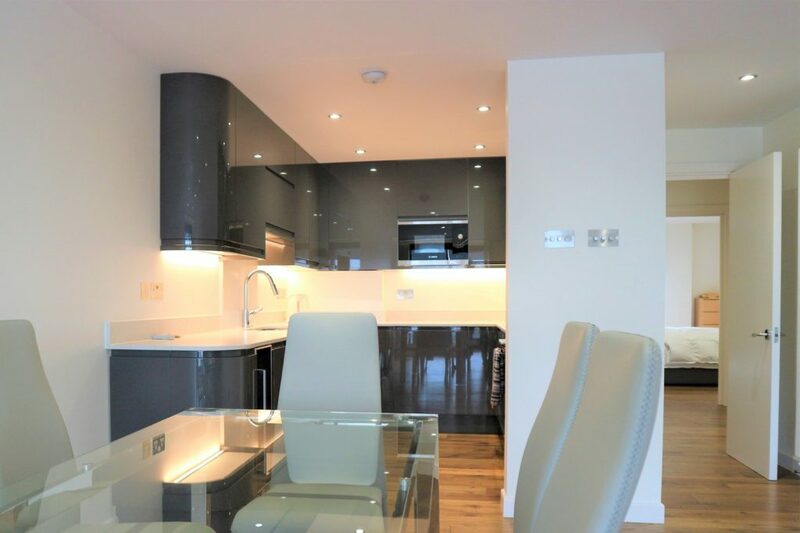 A very high level of finish can also be achieved for a rental flat by carefully choosing more cost effective fixtures and fittings. For example a Smeg hob can cost from as little as £135 to as much as £1,500. Your tenants might appreciate the lower rent you will be able to charge if you fit a cheaper hob, this is of course not always the case!